Ever watch a movie from the early 90s and think, “I know that kid! How do I know that kid?” We’re still waiting for Shazam for faces to be a thing. (Let us know when you’ve figured that out, Silicon Valley.) Luckily, we have IMDB and that no way feeling of recognizing the childhood self of a favorite actor. Today we’re celebrating – and remembering – a few fantastic actors and the roles they played as children for our very own League of Forgettable Child Stars. 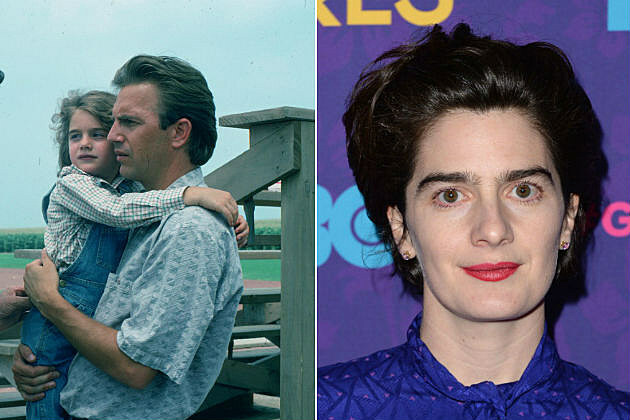 We love Gaby Hoffmann in Obvious Child and Transparent, but were shocked to discover that Kevin Costner’s adorable daughter in the feel-good baseball movie Field of Dreams was played by the powerhouse actress. Forget “If you build it, he will come.” We’re much more interested in popcorn in the bleachers and otherworldly interactions with Shoeless Joe Jackson of the 1919 Black Sox Scandal. Now that baseball season is over, get cozy on the couch with Gaby Hoffmann’s first professional credit. And don’t forget to celebrate her acting superpower: the nonverbal moment that says everything. It’s a skill that has kept her in the league to this day. VEEP would not be one of our all-time favorites without Anna Chlumsky’s biting portrayal of Amy Brookheimer. But Chlumsky got her real start starring in My Girl opposite Macaulay Culkin. (An actor we will always picture as a child. Sorry, Macaulay.) We almost didn’t recognize her under that Blossom hat, but one thing’s for sure: she sure knows how to choose a role. “I always surround myself with people who I find intellectually stimulating,” she says in a frank moment with scene partner Culkin. Her character Amy on VEEP would say the same – only not so kindly and with a signature roll of her eye. Watch out for her signature acting superpower: badassery. It’s what keeps us coming back year after year. Well before Donnie Darko, Southpaw, and Sunday in the Park with George (yes, he can sing), Jake Gyllenhaal played Danny Robbins, Billy Crystal’s son in City Slickers. Yes, that’s 10-year-old Gyllenhaal telling his whole class that his father is a submarine commander. And who can blame him for lying? No one wants to tell their class that their father works in ad sales for a local radio station. Today, we’re celebrating the fact that this beautiful talented man is still gracing us with his presence – and spotlighting his league superpower of range, both vocally and in the roles he plays. And we’re grateful that he’s shed his prepubescent squeak. We’re huge fans of Wild and Big Little Lies, but well before those stellar adaptations ever saw the light of day, Reese Witherspoon was cutting her teeth on the coming of age film The Man in the Moon. Yes, that’s Witherspoon pining after her family friend in this Elvis-sound tracked film. (Her voice gives it away, even at 14 years old.) We’ll forever celebrate her acting superpower – possibly the strongest in the entire league. The power of literary passion and the aptitude to turn her favorite books into movies and television shows. She’s a champion for strong female voices everywhere, and we’re happy to have her in our literary corner.